Terni, Italy more than 11,000 people were evacuated when WWII era bombs were uncovered at a construction site. 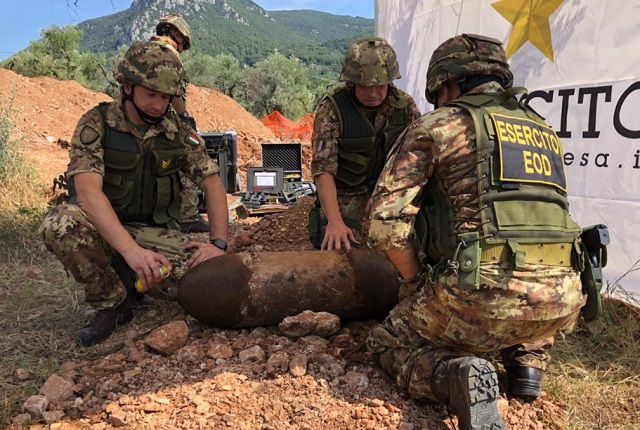 Police and the Civil Protection Department cleared the area as Italian Army EOD worked to move the 250-KG HE filled bomb (shown below) to a local quarry. A controlled detonation was conducted on the bomb, reported as a U.S. WWII era aerial bomb. Nearby roads were re-opened after the bomb was safely detonated.